Are you the type of runner who run solo? And not afraid being alone in the dark? Then it’s time to break your loneliness cause someone is joining you in the dark. You can’t see them but they can see you! For this Halloween week, you afraid them no more. Cause they are joining you also for your run event! Congrats to this years’ Halloween Run Event! Finishers Token Medal. Photo credits to Mark Anthony Abol. And who’s day it is? It’s Mark Anthony Abol’s debut birthday! Click here for more pictures and details of 6th WNR – G6 Ungo Ungo Run. Every Wednesday they gathered at Total Bonjour, Umapad, Mandaue City, Cebu and have their weekly run with the group. They consider to make October 30 as their Halloween run event. They just contribute P100 for each participants and it’s all to sawa drinks and food with finishers token. Photo credits to iCapture and thanks to Eric Noel Rodrigo for the info. 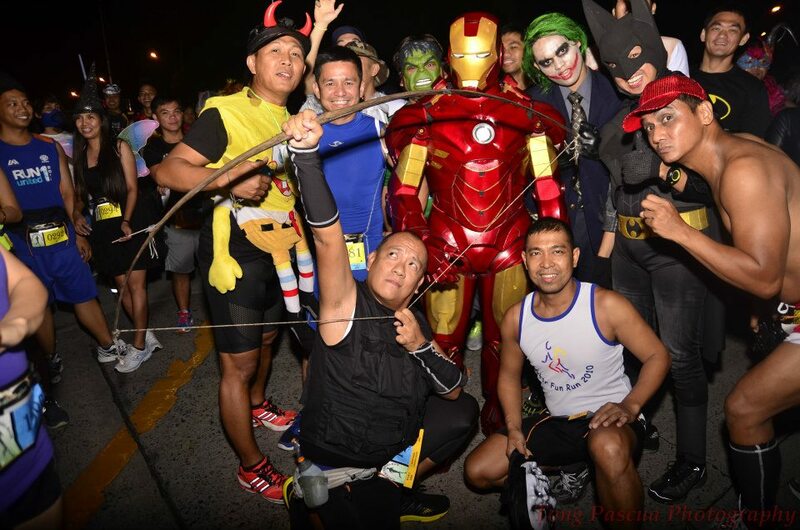 The UP DilimRun 2013 – A 3.5Km costumed fun run. Some of the Zombies of The UP DilimRun 2013, they are ready to scare you. photo credits to UP Chinese Student Association. Midnight Run 2013 – The Halloween Gala of the Running Community Returns, happened last October 31, 2o13 at MetroWalk Ortigas Center, Pasig City. The CONJU RUN (A Haunting Night Run) – happened last night(October 31, 2013) at Il Corso Grounds, Fil-Invest, SRP, Cebu City. photo credits to Doc Willie Estepa. 3K Halloween Night Run – Run for education. Save the young generation. This event is happening tonight at San Carlos City Memorial Park. Wear your best scary costume! Upcoming Horror event. With the same theme of The Walking Dead – Zombie Apocalypse! You can share your ran experience through Aktib.ph with your picture! Share now and you don’t know who you scared by your story. Awoooooo…..